Those Long Beach residents who were so disappointed regarding the minuscule portions allotted by Big Bite Bacon Fest can take a little sigh of relief. 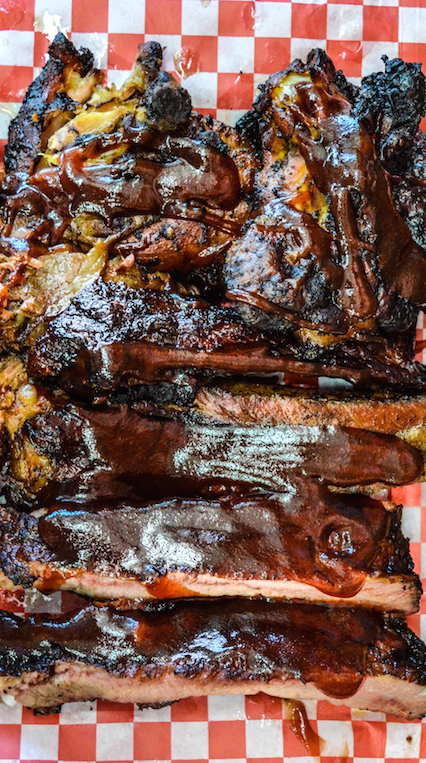 Bigmista’s Barbecue, one of the vendors who had handed out samples during the event, is setting its eyes on a brick-and-mortar. Known for its farmers market presence at various locations throughout Los Angeles, Bigmista’s Barbecue is setting up for its first permanent location in Long Beach. This Friday, Bigmista’s Barbecue & Sammich Shop will close the deal on its location to replace what used to be an Italian bakery in Northeast Long Beach, according to the eatery’s GoFundMe page. While Strawder and his family had planned to open a location in downtown Los Angeles in the Medallion building on 4th and Maine, the deal never panned out. On the website, Strawder explains that the search for his first brick-and-mortar location has been lengthy. He passed over a spot in Norwalk and two other locations in Long Beach before finding the bakery. Taking advantage of the situation, the family plans to bake their own bread and other goods for sandwiches on-site. In a gesture of apology and fairness, with less than $5,000 to go, Strawder wrote that the business is willing to refund those supporters who believed the brick-and-mortar was going to open in L.A. However, perhaps excited Long Beach residents can more than make up for any of the possible loss. Long Beach will finally get more than a piece of what this family-run barbecue business has to offer. However, Strawder plans to maintain his presence in L.A., at farmers markets in Atwater Village, Century City, Pershing Square and the Bank of America Plaza downtown after the new location has been opened. So for those of you that only received a mere taste of Bigmista’s “Pig Candy,” you can now hoard your own handful of Strawder’s sweetened bacon strips without the lines, tents and general chaos of a wannabe bacon fest or the oftentimes arduous drive to Los Angeles. Check the GoFundMe page for updates on the soft opening, set for a date next week, while the business will be operation while it’s being built.